ROAD TRIP, ROAD TRIP, ROAD TRIP! It feels like school just started, and already we’re packing up the truck and heading to the beach for fall break. Is there anything better than a good ol’ fashioned get-in-the-car-and-motor-across-the-USA-with-your-wild-bunch-of-kiddos family adventure? No way, blue jay! 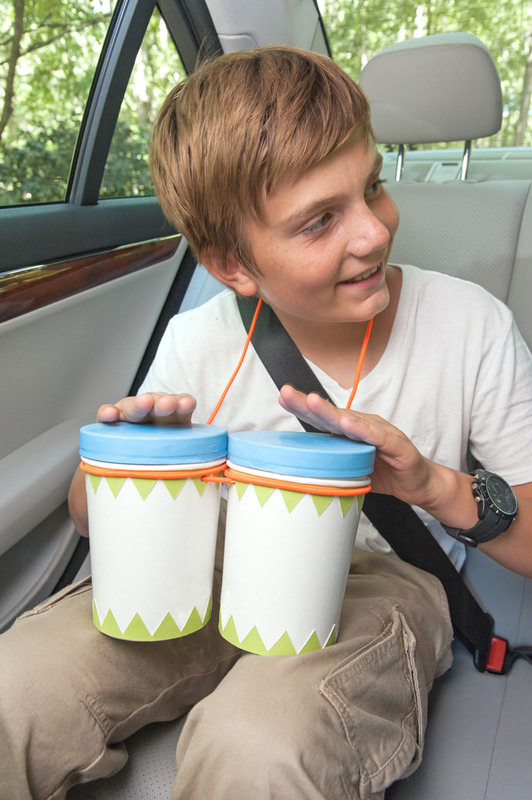 But on a recent summer vacation, we noticed a troubling new trend: our backseat was eerily quiet. I mean radio silent! We had a precious few hours in the car, and we weren’t really spending the time together. Everyone was staring aimlessly out the window, napping, playing with their iPads and generally just not connecting. My husband and I made a pact to never allow this to happen again. So we got to work devising a plan to make family car time just that — family car time, a place to dream, laugh about the past and explore the future as a group! And what kind of group is better than a rock group? 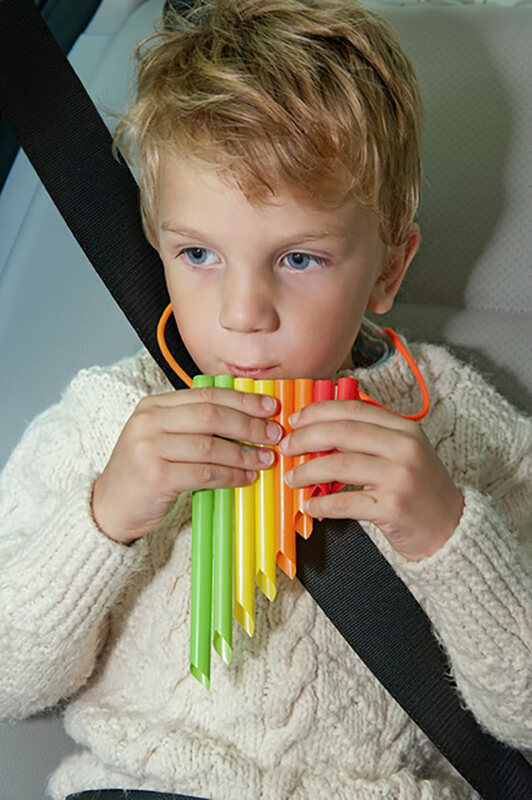 We came up with the idea of making our own instruments so we could rock out in the car together. Being the crafty family that we are, we set out transforming just about everything in our kitchen cabinets into a spoon slapping, sugar shaking, soup can bongo playing pop band. Yes, I know that sounds like a big dang deal. Well, these instruments were crazy easy to make, and it turned into an incredible way for our family to plan our trip together. That’s right folks, we’re packing hot handmade jams for this trip (and I’m not talking about the sweet strawberry recipe my grandmother makes). I’m going to show you how we turned ordinary household items into a full-fledged rock and roll situation. Follow the super-easy DIYs to ensure your next open road adventure is a wild success! ● A band of tiny musicians ready to rock! Take four unused soup containers and remove the bottoms. Cut the end off your rubber balloons and wrap each tightly over the top of the containers. Use your hole punch to create two holes in each container and connect them with the bungee cord. 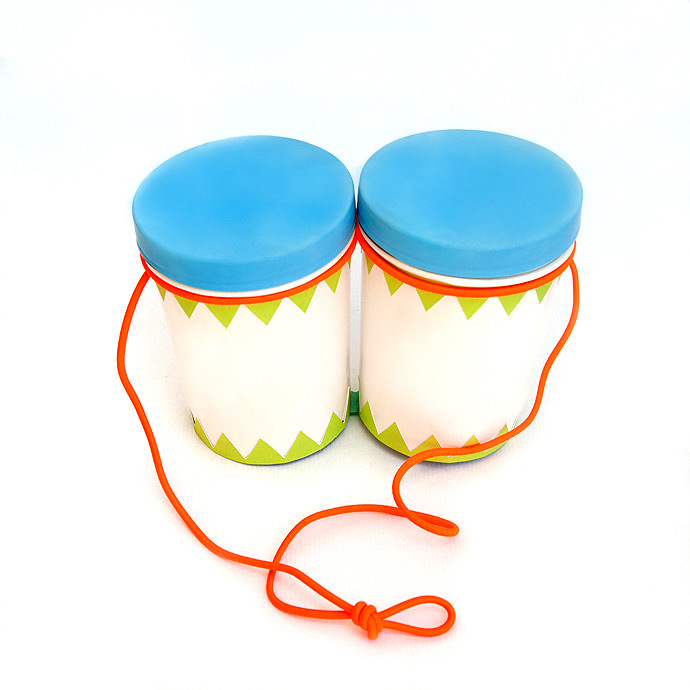 Use your fun and colorful tape to create a pattern along the bottom for that true bongo look. Arrange straws in a line and cut them at varying lengths, with the longest straws on the left down to the shortest straws on the right. Tape the straws together, and BOOM — you’ve got some spectacular singing straws. We know you have a few containers of leftover sprinkles taking up precious space in your cabinet. 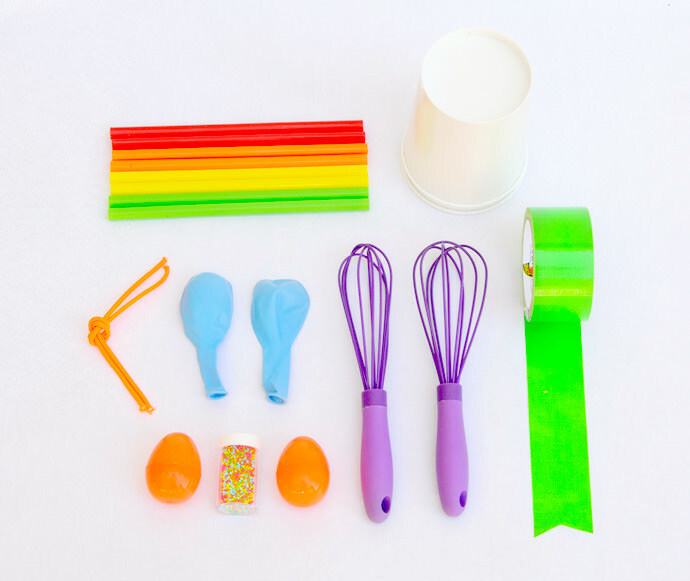 Fill two plastic eggs with the sprinkles and place them inside your plastic whisks to create some super sweet sugar shakers. Now let the good times roll! This content was created in partnership with Ford to help make creativity a part of every drive. Partridge Family, eat your heart out. Right? I loved that show. I ran into a ton of images on Pinterest the other day and forgot about all of the amazing costumes. The bus was completely genius. Thanks for stopping in. This project with Ford completely rocked! Love this! Not only is it a genius idea, but the supplies are super easy! What a great idea! 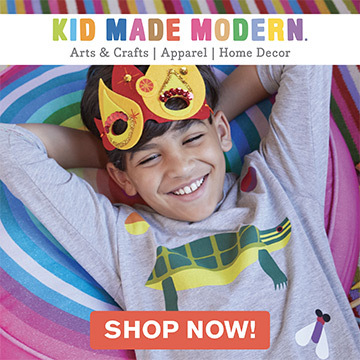 What kid doesn’t love to make noise? Hey, we were the “Wilson Family Singers”. All 6 girls and my mother in navy polyester floor length skirts, plaid red-white-and blue scarves, my oldest brother with a red electric guitar, my oldest sister with a tamberine. We were more loud than good :) Dear Lord, I actually lived through that! The pan flute is like a two second project and works like a charm. The shakers are even faster of course. The drums are more like a 5 minute DIY. I guess the entire band can be made in under 10!! Thats cool! Oh Yeah!!! I know that we made a lot of noise in the 9th grade! Thanks for stopping in old friend. Hey guys for anyone reading this! Kathryn is one of my oldest sweetest friends from forever + ever ago. Ahhhh your the best! Thanks for stopping in and let the good times roll and whistle and shake!! Your comments always make me happy. The sugar shakers always win in our car! Let me know how the girls like the drums. We did that on purpose. I went into my pantry to find the supplies to make sure everyone could make the band! Thanks for hopping over! Ford is really encouraging families to unplug…..I love that! I am in! We grab an old van and paint the puppy up and hit the open road! LOVE it!! Now you have to post a photo! Like I’m not kidding ….I have to see those photos. You were the Michael Jackson in the group right? Aren’t you the baby? Pleeeezeeee Share! Sooo Good! I am just dying to make those singing straws. I’m such a sucker for homemade musical instruments. 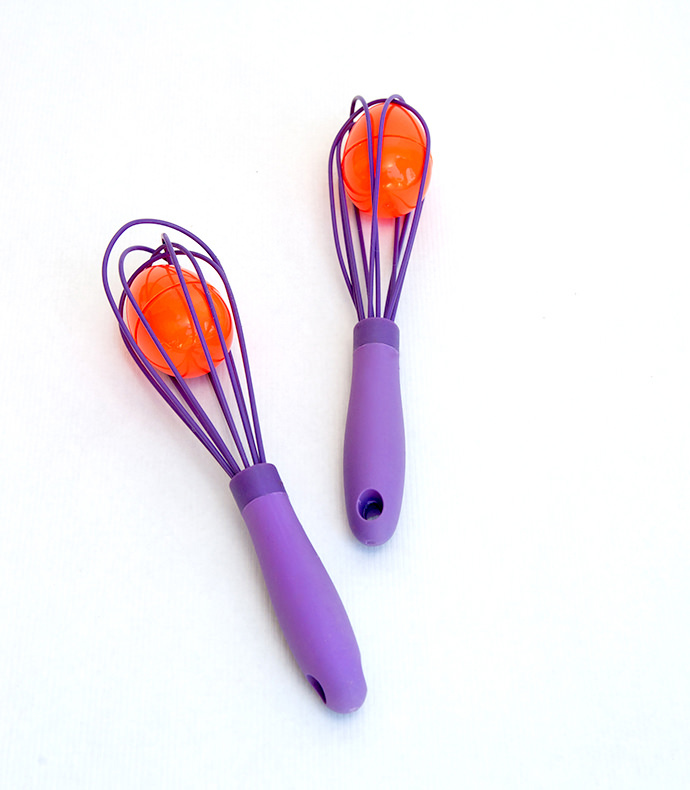 I can’t believe those straws work so well – can’t wait to try them! The singing straws AKA pan flute is super easy to make and takes just a few minutes to make. Charlotte wears hers to school as jewelry and then she likes to surprise everyone by playing a tune!! Make one and tell me how it goes! OH my stars, Charlotte is just too cute! My little ones learned about those straws making a whistling noise quite by happy accident – and I have to admit, they’re really fun! That is sooooo funny! My parents had an over the bed truck camper when I was little. You could only communicate through a little window in the back. We would knock and knock and had to write on a chalkboard to get their attention. Well, this just may make our 14 hour car trips to visit family much more fun! I love the idea of the singing straws…brilliant!! This is so great, its one of those” why didn’t I think of that before” moments! we need this set, or possibly made for a couple of small folks I know! The sugar shakers are the best! They are so super east to make …well all of the are really! 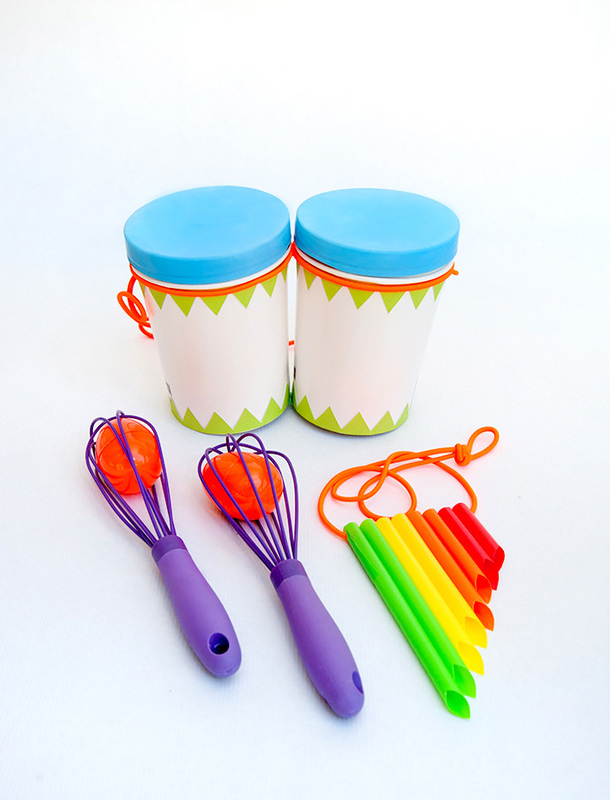 The kids will love the fun semi – noisy surprise! Exactly…we try to make all of our projects with that in mind…everyone has some of these items in their kitchen. Ford and the mission they have to create more conversation in the car is just plain awesome!! The straws are really really cool and look cool too! They take only a few minutes to whip together!! This photo is beyond amazing…I had to say it again!!! Awesome! How long does this take to make?